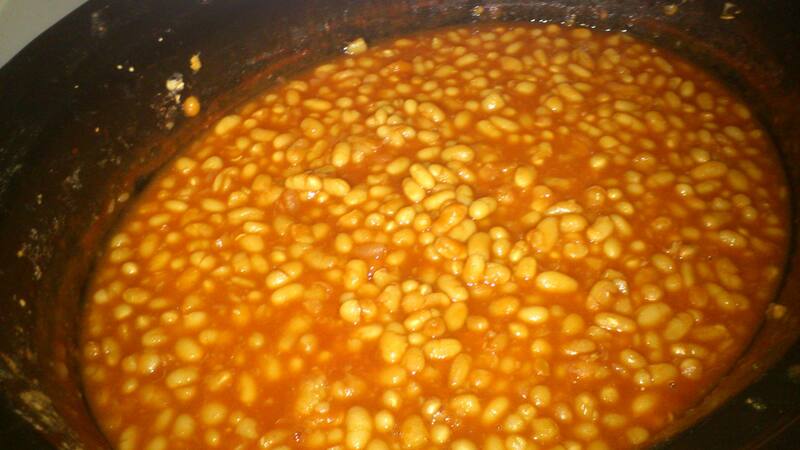 Baked beans cooked and cooled ready to serve. ‘Baked Beans’ make a quick and easy breakfast and while one could simply buy the manufactured version… I like to make my own, to my own taste, and so that I know exactly what they contain. I freeze single portion quantities of the baked beans in silicon muffin pans, and then defrost them in the microwave for about 5 minutes on medium or medium/low. Then add to a large pan of water and bring to the boil. While the beans are boiling start making the sauce. 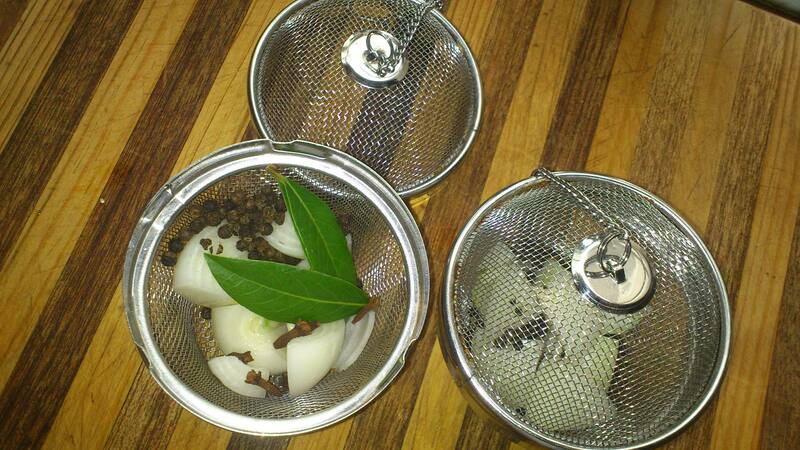 I share my flavouring ingredients between two large ‘mesh spice infusers’ and place in the bottom of the slow cooker. All ingredients are now in the slow cooker, give a stir and leave it to do its thing. Give the sauce a stir. When the beans have boiled, for at least half an hour, drain well and add to the sauce in the ‘slow cooker’ and give another stir. Set the slow cooker on high for 8 hours. If the sauce becomes too thick add more water a cup at a time, and if it seems too thin extend the cooking time half an hour at a time. 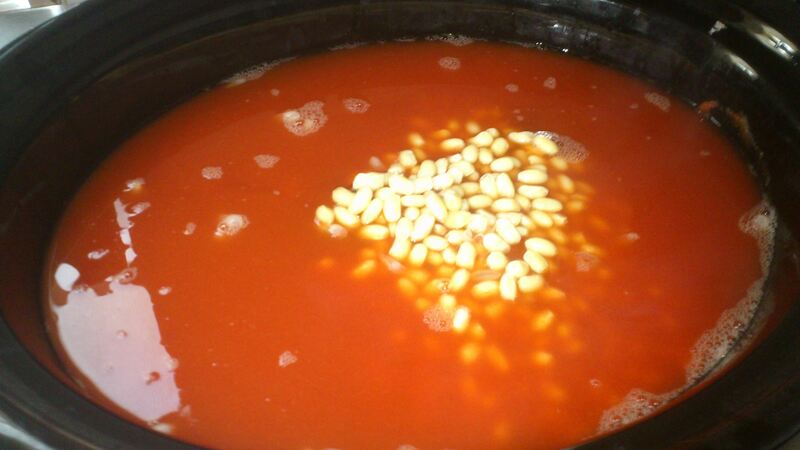 When beans are soft enough and the sauce is thick enough, yet slightly on the thin side as it will thicken as it cools, the Baked Beans are ready to serve.